Welcome to our web site. My name is Art Hero and I manage Used Cars of Hanover .com I originally opened Hanover Honda in 1989 and have over 50 years experience in the automotive business. We are all very proud that Hanover Honda and Hanover Hyundai have opened this SPECIAL and AFFORDABLE used car operation. I really enjoy speaking with our current and future customers about their auto needs and will do all I can to assist them. Please contact me with any questions you may have at any time. We will always treat you with respect and make you feel welcome. So stop in or contact us by phone or e-mail. 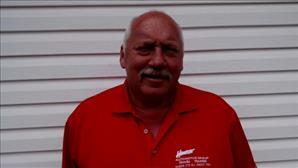 James Spealman ( Jim ) came to Hanover Honda in January of 2000. He has worked in sales, operated as the sales training manager and also over saw our old North Hanover Mall store location. Now as a business manager, Jim has more then enough experience to help you get the vehicle you want and the deal you need. Just ask his customers...they keep coming back to see him! My name is Jill Whorl. I joined Hanover Automotive Group in September 2016. I have held several different positions at both the Hyundai and Honda locations including Sales Product Specialist and Business Manager. I originally started in the Automotive Industry at the age of 9, working at my fathers Chevrolet Dealership washing cars during the summer months. Years later, after earning my BS degree from Penn State University Main, I returned to Manchester. I also returned to the Chevrolet Store where for the next 25 years, I held many positions including Dealer Principal and Corporate Vice President until the close of business in 2003. I love all things dogs! Therefore, I share my life with Golden Retrievers and a Papillon. The dog and I train and compete in many canine sports including conformation, obedience, tracking, nose work, field work, agility, dock diving, freestyle and therapy dog work. 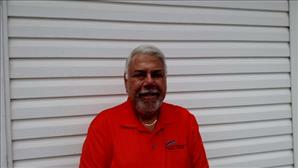 I am now joining Used Cars of Hanover.com as both a Sales Consultant and a Business Manager. I will work hard to find you the right vehicle at an affordable price. Stop in to see me and find out why folks call me for transportation they can count on.